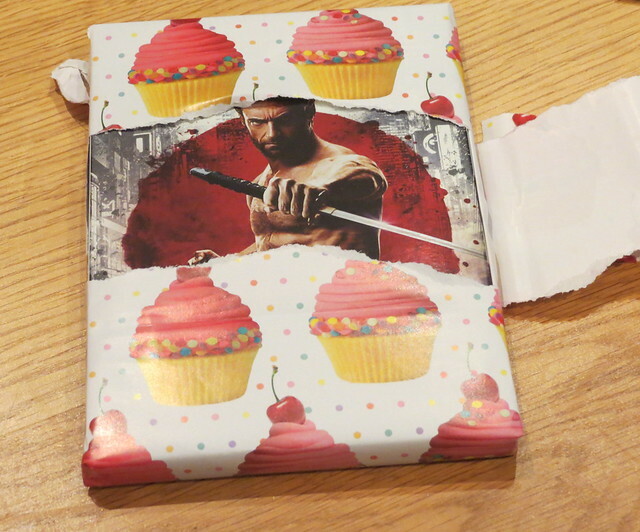 One of my birthday presents from my mum was the DVD of The Wolverine featuring the wonderful Huge (oopsie!) Hugh Jackman. Although I enjoyed the first X-Men movie (and did have a bit of a fantasy about joining being one of the X-Men in my youth…), I haven’t really followed the films since that first one. I’ve never read the comics, and I don’t know all that much about the characters and storylines, although I know I could really get into the X-Men if I gave it a chance. 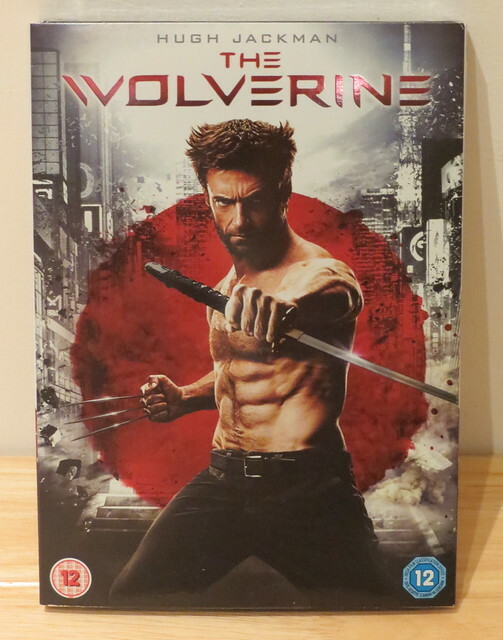 However, The Wolverine is set in Japan, which means it instantly qualifies as a movie I needed to see. Last night, as the rain pelted against my windows, I switched on my Christmas tree lights, snuggled under a blanket, and let myself be taken away to Japan. As I mentioned, I have no idea really how this story fits into the whole X-Men story (apparently it takes place after X-Men: The Last Stand), but as a stand-alone film I really enjoyed it. The action was fast and exciting, and characters cool and interesting, and the setting – Japan – just perfect. The movie used various parts of Japan, with a lot of the modern-day action taking place in the bright lights of Tokyo and the flashbacks to World War II set just outside Nagasaki (長崎). 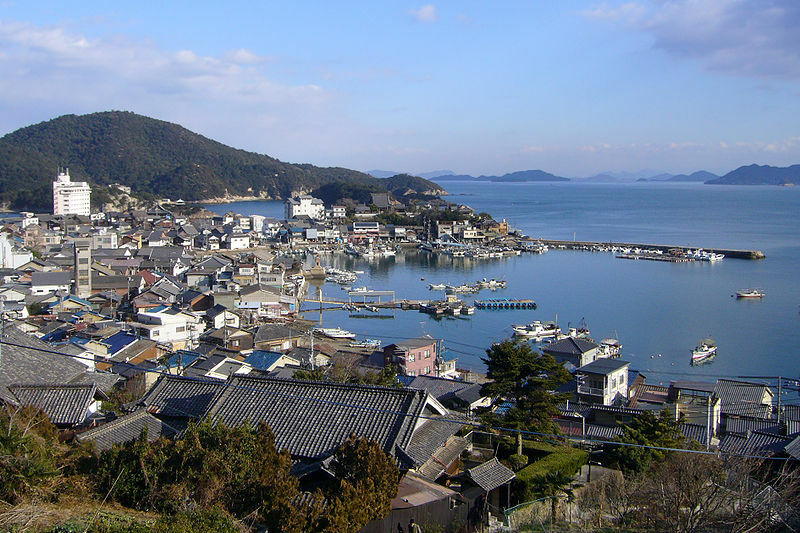 Some filming took place in Fukuyama (福山), in particular in Tomonoura (鞆の浦), in Hiroshima Prefecture (広島県), but a lot of the film was actually made in Australia. If you’re a fan of Japanese culture and action there are lots of scenes that will appeal, such as a race through a pachinko (パチンコ) parlour, a fight at a temple (Zojoji temple (増上寺) in Tokyo) and a fantastic high-speed fight scene on top of a bullet train. We also get to see a love hotel (ラブホテル), yakuza (ヤクザ), Tokyo Tower (東京タワー), lots of beautiful Japanese architecture, ninja (忍者) and samurai (侍) – this film has it all! So, why is this film set in Japan? Well, according to the story, Logan (Wolverine) saved the life of a man named Yashida (played by Ken Yamamura and Hal Yamanouchi) back in 1945 in Nagasaki when the atomic bomb was dropped. At the time, he was a prisoner at a prison camp. Logan, for those of you not in the know, has the power to regenerate, and so basically he is immortal. This story focuses a lot on the theme of immortality, and how lonely it must be to watch all of the people around you die and to continue living with no real purpose. All these years later, Yashida sends red-headed, samurai sword wielding Yukio (Rila Fukushima) (also a mutant, with the ability to foresee people’s deaths) to find Logan and bring him to Japan. 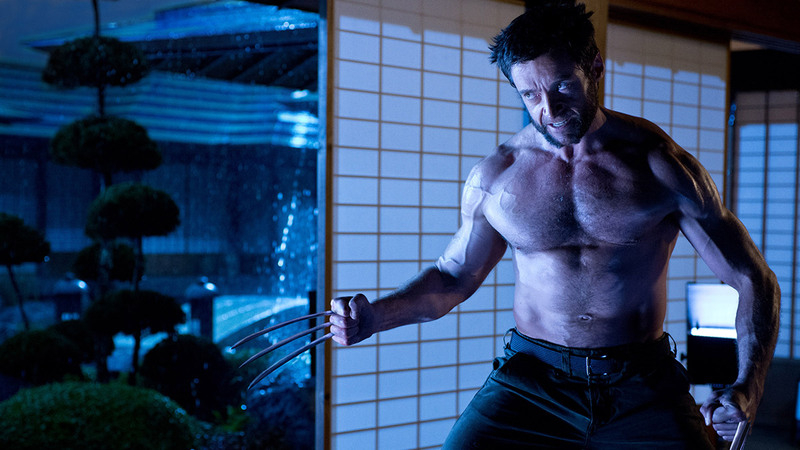 At this time Logan is living out in the wild in Canada, trying not to be the Wolverine. Effectively, he is a ‘ronin‘ (浪人) – a samurai without a master. Reluctantly, Logan goes with Yukio to Japan, thinking that Yashida simply wants to say goodbye before he dies. 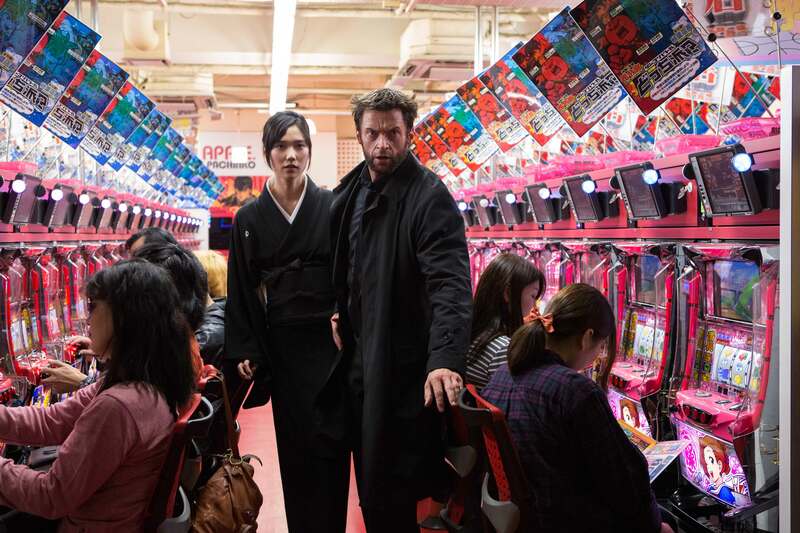 Upon arriving in Japan, Logan meets Yashida’s son Shingen (Hiroyuki Sanada) and granddaughter Mariko (Tao Okamoto), and discovers Yashida (now CEO of a technology corporation) has an ulterior motive for bringing him all the way to Japan. I won’t give away the rest (it’s all out there on the Internet if you want it, but I’d recommend watching the movie), but I will say that a funeral turns into a full-on brawl at a temple, which leads to numerous fights with yakuza, a lot of deaths, a little bit of love, a Viper, and a run in with the utterly awesome Silver Samurai. There are some really good effects, and I didn’t for one moment feel sleepy on my sofa (which is very unlike me when watching movies at home). Also, if you’re interested in Japanese language there is a fair bit to study in the film. As well as conversation (most of which is subtitled) I noticed a cute little touch: Mariko refers to Logan as ‘kuzuri’ (クズリ) and mentions a legend she was told as a child. The word ‘kuzuri’ actually means ‘wolverine‘, the animal.